Here are the ten most popular news articles, week ending 11th October 2015, covering catastrophe bonds, ILS, reinsurance capital and related risk transfer topics. To ensure you never miss a thing subscribe to the weekly Artemis email newsletter updates. Exposures in the casualty insurance and reinsurance sector are inherently difficult to predict and model, meaning until a market transformation occurs the casualty space is likely the biggest threat to the re/insurance industry, according to Wills Re’s Andrew Newman. Reinsurance broker Aon Benfield’s risk modelling unit Impact Forecasting believes that the “epic weekend rainfall” in South Carolina and elsewhere across the region will result in economic losses that will “easily exceed” $1 billion. The global reinsurance market may be heading for a new reality, where lower returns are the norm and an increasing focus needs to be placed on the contribution that underwriting makes to the bottom line, according to A.M. Best. The uncertainty surrounding hurricane Joaquin and whether it would make a U.S. east coast landfall stimulated some offers, discussions and interest in ‘live cat’ protection buying last week, according to market sources. The Arkansas Teacher Retirement System, a state pension fund established to provide retirement solutions to Arkansas education professionals, has made a $75m allocation to a reinsurance-linked ILS fund managed by Aeolus Capital Management. Specialty products in the U.S. property & casualty insurance marketplace is an increasingly attractive area of the market, as it offers an “attractive strategic alternative to achieving scale in the standard commercial property/casualty (P/C) insurance industry,” according to S&P. The insurance, reinsurance and capital markets risk transfer sector has reached an inflection point in terms of tools, techniques and capital to address climate and disaster risks, now demonstrating the potential to scale-up and expand in scope, according to the United Nations. 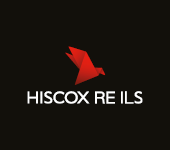 Kiskadee Investment Managers, the insurance-linked securities (ILS) and reinsurance linked investment strategies unit of Hiscox Re, has made a number of appointments as it builds out its team for the next phase of growth. The insurance and reinsurance industry loss from the Tianjin chemical storage facility explosions in China continues to evolve, with estimates now suggesting $3 billion or higher. Some ILS funds remain exposed, but any actual losses are expected to be minimal.